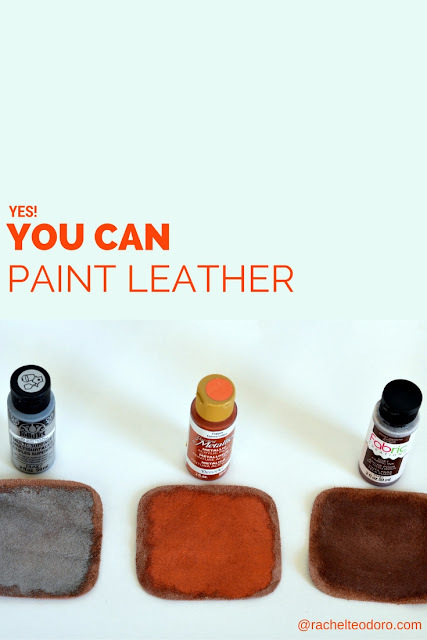 Can You Paint Leather? I Tried, So You Don't Have To. I love to use what I have. I'm not super picky and my motto is usually "it's good enough." Through the years, I've made things work and sometimes I get lucky and other times I fail, but usually, I don't have a whole lot invested in a project to make it matter one way or another. For instance, I found a whole big bag of leather scraps for next to nothing. I knew I couldn't pass it up because there were a hundred projects flying through my mind, but I didn't love the color of the leather. 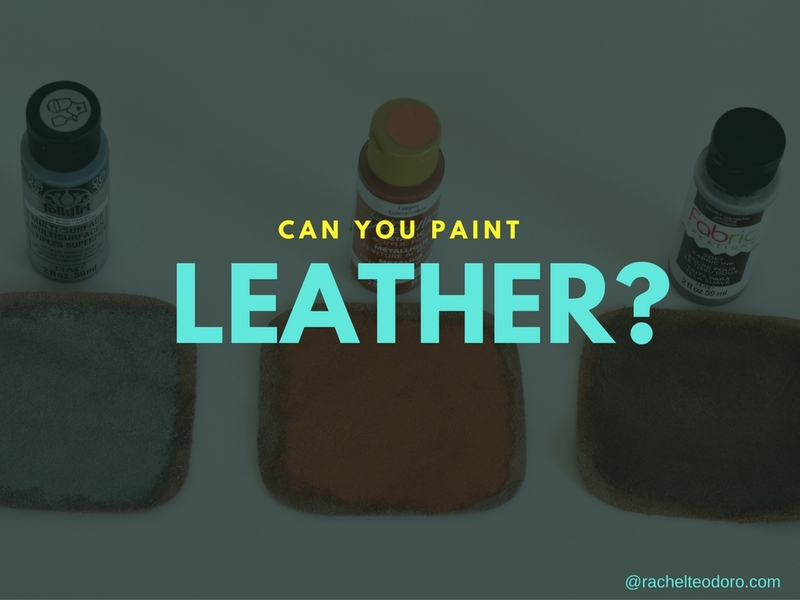 So I started wondering, can you paint leather? I did a little experiment and used three different kinds of paint to see if I could indeed paint leather and if there was a particular secret or trick to making the leather hold the paint. Come see what I found out. Let me refresh your memory on this leather that I bought. It came in long strips and in 3x3 squares and while I can't make, say, a purse or bag out of it, I can use it to make some smaller things like these leather key chains. It's a light color, far lighter than I would like. I actually like a darker leather color but I wasn't quite sure how to turn leather a darker color. It seemed complicated like you would have to dye it. But then I thought, can you paint the leather? I painted each sample piece and found that there wasn't one paint that worked better than another. The Fabric Creations paint seemed a little less stiff, but all of the paints coated well and none of them felt too clunky. I left the original piece and color of the leather at the bottom of this image so that you could see how different the painted leather looks. I found that the best way to apply the paint was with a dauber sponge brush dabbing the paint on rather than brushing it. I only painted the rough side of the leather. I didn't try the slick side. I'm not sure how well the paint would stick. Consider that an experiment for another day. I was able to cut the leather, manipulate it and use it for projects with no problem. So yes! You can paint leather! Who knew?